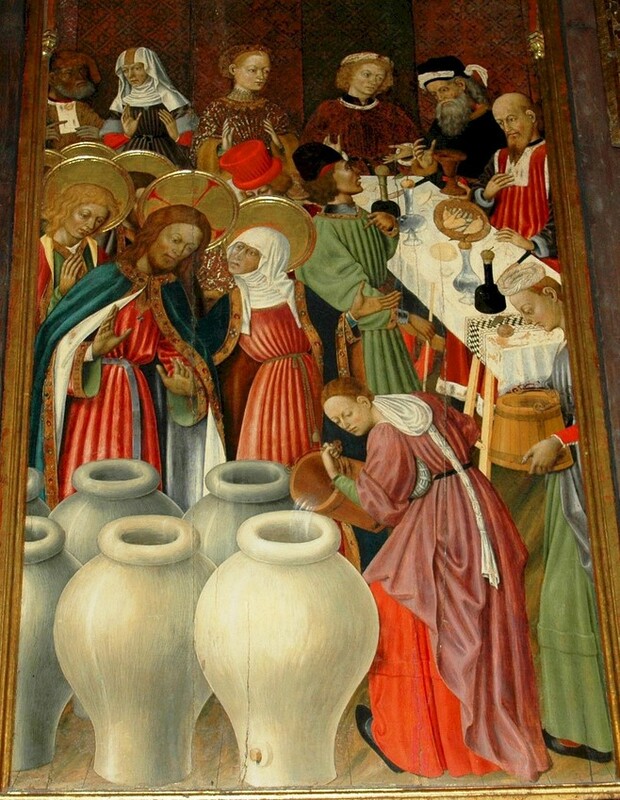 According to John’s account, Jesus turned water into wine, really good wine, at a wedding in Cana. I have enjoyed that story for years and now, as an old man, I am beginning to get the beginnings of an idea of what it is about. If it is a sign of replacement, what is being replaced? This question is the entry to the whole maze to me. My attention has always been drawn to the wine. Wow! Look at that! There’s a lot of wine now and it’s really good wine! But when you get as far as saying that the wine replaced the water, you have to ask why there was so much water there and what it was used for. All that water was there for washing. The washing was a part of “the tradition of the elders,” according to Mark (see below) and therefore a functioning part of the Mosaic Law. Let me pause for a personal Gee Whiz moment. It never ever occurred to me to wonder what the guests would do now that there was no water available. I knew the water was there for use in the rituals of purification. 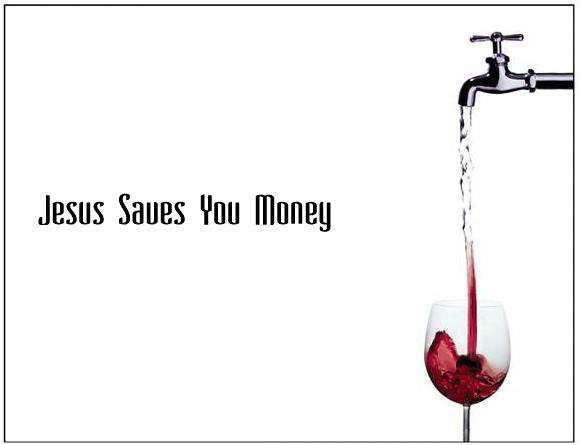 I knew the formerly water, now wine could not be used for that purpose any longer. But my mind still followed the wine and the happy partygoers. Only now—finally—does it occur to me to wonder what they are going to do without water. You can play it for comedy and I confess that was my first reaction. The partygoers washing their hands in the wine  and going to the tables with sticky hands. The hands stick to everything they touch, including each other, and very likely stain whatever they touch as well. You can see the slapstick possibilities. As kids, we did the same thing with the amount. Six stone jars, we mused, with 15—25 gallons per jar, so 90—150 gallons of wine. Whoa! Now that must have been a party to remember! In addition to which, I collected these fantasies from my daughter, Dawne, yesterday. If you washed your hands in the “water,” would they be sticky? Would they leave little purple handprints on the tablecloths? And what it look like if the servants used that “water” to wash the feet of the guests? How far up would the servants wash? Would those sandals EVER come off again? OK, that was the personal moment and I confess it was fun. This is as good a place as any to indicate my debt to Catholic scholar Raymond E. Brown, this time to his commentary of the Gospel of John. Brown says that this is the first of many “replacements” to follow. Jesus shows up at all the major feasts, for instance, denigrating the central symbolism of the feast and replacing that symbol with himself. The meaning for the followers in the Johannine community was “You don’t have access to these feasts anymore, but if you have Jesus, you haven’t lost a thing.” Replacement. The Greek word is sēmeion, “sign,” a word from which semiotics, the study of the nature and relationships of signs in language” is derived. 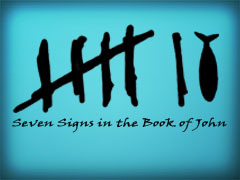 John uses sēmeion seventeen times in his gospel. That’s a lot of times. The translation is by Joel Markus, in his commentary of the Gospel of Mark, part of the Anchor Yale Bible Commentary series. John never actually says it “became” wine. He says that the party manager tasted it and said it tasted like wine. That’s what we know and that’s all we know. This entry was posted in Biblical Studies and tagged Jesus as a winebibber, Mary as a caterer, the wedding at Cana, water into wine, what "miracles" are, what "signs" are, what does a sign mean?. Bookmark the permalink. Very inspirational content. I really learned something right. Thank you. Thank you, Zoey. I am amazed, as I pursue these old stories, that I have spent my whole life on them without noticing what they were about.